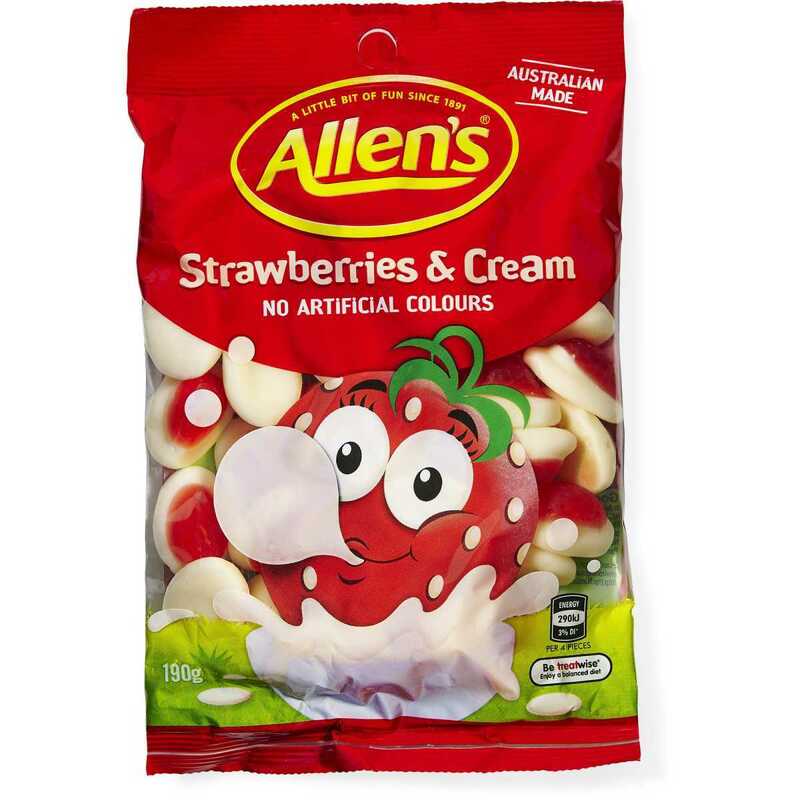 Allens Strawberries and cream, can be enjoyed all year round. They combine sweet fragrant strawberries with thick luscious cream in a soft chewy jelly. Check out some of the other great treats we have in stock like Cherry Ripe!